Dr. David F. Ruebeck M.D., F.A.C.S. "Achieving excellent results, and providing consistent skill and care to each patient—that's the measure of success. Improving a patient's quality of life is what matters most." Dr. Ruebeck is known for his innovative work in breast surgery and microsurgical reconstruction. His expertise and experience also extends to a wide variety of cosmetic surgeries and procedures as well. 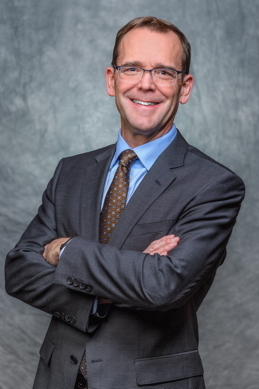 What motivates Dr. Ruebeck most of all, and is the reason why he has achieved such status as a surgeon, is the diligent, personalized approach that he has provided to his patients since joining Midwest Plastic Surgery in 1997. Dr. Ruebeck is driven by a desire to provide the best possible outcomes for his patients, and in doing so takes the time to get to know his patients and determine the best course of action. He then draws on his skills, extensive training and experience in setting realistic goals for his patients and ensuring that those goals are achieved. A large focus of Dr. Ruebeck’s practice is on breast reconstruction, breast enhancement, and reduction. His successful record in this area is one of the reasons he continues to be named one of the "Best Doctors" and “Best Doctors for Women” by Minnesota Monthly Magazine several years running. He offers a variety of innovations, including natural tissue procedures such as DIEP and SIEA breast reconstructions, fat grafting, among others. Because of his extensive training and experience in microsurgical reconstruction Dr. Ruebeck receives referrals from other plastic surgeons to help take care of challenging or unique cases. Other annual recognitions for Dr. Ruebeck include being named a “Top Doctor” in the metro area by Minneapolis/St. Paul Magazine, "Outstanding Doctor" by Twin Cities Consumers' CheckBook, and being chosen as one of the nation's “Top Doctors” by U.S News and World Report. Dr. Ruebeck’s extensive training and educational background includes a Fellowship in Microsurgery/Hand Surgery at RK Davies Medical Center in San Francisco, placing him among the top microsurgeons in the country. As far as Dr. Ruebeck is concerned, being a plastic surgeon entails giving back to the medical and local community as well. He served as a board representative for North Memorial Health Care’s Hennepin County Medical Society for a number of years, and has been a volunteer in a variety of capacities in his local community. Dr. Ruebeck also participated in the Minneapolis Public Schools’ Mentor Connection Program as well as the University of Minnesota’s Medical Student Mentoring Program. Since 2013 Dr. Ruebeck has travelled with Minneapolis-based Guatemala Surgery, a volunteer medical team providing free care to patients in Antigua, Guatemala. Dr. Ruebeck is the Chairman of the Department of Surgery at Abbott Northwestern Hospital and served as Vice Chair from 2016 to 2017.